ASKING THE IMPORTANT QUESTIONS: What does the Latin actually say? (Mary Beard, A Don's Life - TLS). People often imagine that if you 'know Latin' you can read more or less any bit of the language that is put in front of you (much like what you can do if you 'know French'). It isn't really like that at all. OK, there are some easy bits. A basic tombstone doesn't present much of a problem. After all most epitaphs are pretty formulaic, with a few additional idiosyncratic, personal details. And quite a lot of what you read in Latin, you have read before, at least by my age. I have often said that more things survive (in both Greek and Latin) of what the ancient Romans wrote than anyone could hope to read in a lifetime. And that's true. But it's also true that you do go back time and time again to some of the same classics: in my case, Cicero, Tacitus and Livy. And there it is not so much a question of reading, as of re-reading -- and it's that what enables you to skip at a reasonably cracking pace. Yes. It is very difficult to sight-read a text in any ancient language, and usually when someone appears to be doing so it means that either the text is unusually easy or the reader is already well familiar with that text. Some ancient inscriptions, like those epitaphs mentioned in the quote, are formulaic and can be sight-read. But — the examples of Indiana Jones and Evelyn O'Connell notwithstanding — it is almost always impossible to sight-read an ancient inscription if the text is at all complex. Many such inscriptions require years of work to decipher and their exact meaning often continues to be debated by philologists indefinitely. CINEMA: Jesus meets the Fast & Furious: remaking Ben-Hur for 2016 (Horatia Harrod, The Telegraph). The new Ben-Hur film is now getting some attention in the U.K. This article gives a good overview of the background and — pretty much spoiler-free — of the film itself. It opens in the U.K. on 7 September. A SALVAGE EXACAVATION THAT LED TO SURPRISES: Ancient Roman bath house discovered under modern mikvah. The Old City of Jerusalem will soon be hosting a new mikvah - with two thousand year-old roots (Rachel Kaplan and Shimon Cohen, Arutz Sheva). In just a few days, a mikvah (spiritual purification pool) will open in the Jewish Quarter of Jerusalem's Old City, after ten years of construction. Arutz Sheva heard from Ephraim Holtzberg, a local, the incredible story about how an ancient bathhouse of the Roman Tenth Legion was discovered beneath the mikvah. However, Holtzberg's story didn't end there. It turns out the Roman bath house was also built over an older site, a Jewish site. One year, while the mikvah was in construction, during an especially rainy winter, the contractors noticed the rivulets were running en masse to one point - where they disappeared. "They followed the water, and discovered under the Roman bath house a massive cistern from the Second Temple era, which had been part of the Bethlehem aqueduct," Holtzberg describes the area, which was used to gather water for the Temple. According to him, the resevoir was essentially a room, 645 square feet, covered in mosaic designs. "When the Romans built their bath house, they required large quantities of water from the aqueduct and from rain water, and so built the bath house over the cistern." The remains of the Roman bathhouse have been relocated, but the new mikvah (mikveh) has been built in such a way as to preserve the ancient cistern in situ. TEMPLE MOUNT WATCH (POTENTIALLY): The third Jewish Temple is coming to your Facebook feed. Temple Institute, dedicated to rebuilding ancient holy site, begins using new internet tools to bring its message to the masses (ANDREW TOBIN, Times of Israel). The video – released this week ahead of the Jewish fast day of Tisha B’av, which commemorates the second temple’s destruction in 70 CE by the Romans — is part of the Temple Institute’s strategy of using the new tools of the internet to bring its ancient message to the masses. Established in 1987, 20 years after Israel conquered the Temple Mount and the Palestinian territories in the Six-Day War, the Temple Institute was one of the first groups to openly advocate the rebuilding of the two temples that once stood on the plaza. Another cofounder is Rabbi Yisrael Ariel, who was among the paratroopers who took the Temple Mount from Jordanian forces in 1967. The problem for supporters is that the Temple Mount in the Old City of Jerusalem is sacred not only to Jews, but to Muslims and Christians too. The site includes the Dome of the Rock and the Al-Aqsa Mosque, two of the most significant shrines in Islam. Israel chose to leave it under Muslim control in 1967, and Jewish prayer is prohibited there. Ever since, even rumors of changes to the “status quo” — let alone provocative calls to build a third temple in their place — have provoked international Muslim ire and Palestinian violence. Tensions surrounding the Temple Mount played a major role in the first and second Palestinian intifadas, or uprisings, and helped trigger the most recent wave of attacks that started in October. I wish the media would press the Temple Institute a little more on the subject of the ancient monuments already on the Temple Mount and how they figure into this plan to build a third Temple. Background and much-repeated additional commentary are here and links. GAMING MEETS CINEMA: A New Ben-Hur Video Game Is Free To Play On Xbox One (Damian Seeto, Attack of the Fanboy). The only review I could find was negative: There's a new Ben-Hur game on Xbox and it's free and it's bad (Brett Makedonski, Destrouctiod). The video I captured tells you all you need to know about Ben-Hur. It's a shoddy movie tie-in that's technically functional but in no way good. The entirety of the game takes place over three chariot races. You win one and then you move onto the next. This is what the game calls a "season." The races are slightly different from one another but really hardly at all. "I can only tell you that I was there, and I witnessed extreme violence. I will continue my activities on the Temple Mount as long as the state of Israel allows me to," Barkai said. The sifting operation has been ongoing for 12 years now, and has yielded nearly half a million archaeological finds dating back as far as the first temple era. Among the finds are arrowheads used by the Roman legions who destroyed the second temple. "We work here sifting earth that originated on the Temple Mount. All of it has a grayish color, which it acquired from the fire that burned the temple. On a daily basis we find burned animal bones, or objects with burn marks, and objects that belong to the first temple and second temple eras, so for us there's no escaping thoughts of the destruction of the temple year round, and especially in this time in the Jewish calendar when we all mourn for the temple. "I'm constantly in a state of continuing excitement and emotion. It's not that I didn't know the temple was destroyed, of course I did; but when I have tangible testimony that I can hold in my hand, it's a remarkable thing," says Dr. Barkai. NUMISMATICS: Ancient Coin Profile – Pompeia’s Pick: A Jewish War Shekel of Year 5 (Lorie Ann Hambly for Heritage Auctions ……, Coin Week). The headline emphasizes the silver shekel from year 5, but this Heritage auction includes coins from all five years of the revolt, and the article gives some background on the events of each year. The article also notes that a number of the coins of the revolt are for sale on on eBay. Other shekels from the Jewish revolt have been auctioned recently by another outfit. Story here and here. READING ACTS: The Burning Sun among the Stars – Sibylline Oracles Book 5.155-531. Past posts in the series on the Sibylline literature are noted here and links. I have some comments on Sibylline Oracles Book 5 in that post. Cross-file under Old Testament Pseudepigrapha Watch. THE DECORATIVE ARTS: 1,900-year-old Mosaics From Apostle Paul's Era Restored in Ephesus. Ancient Roman city was a center of Artemis worship until her temple burned down one time too many, leading people to question the goddess' power (Philippe Bohstrom, Haaretz). A rambling article with some nice photographs. ANCIENT MURAL ART: Rare fresco fragments dating back to Roman era discovered at Zippori National Park (KATHERINE KEENAN, Jerusalem Post). CONGRATULATIONS TO TODD HANNEKEN AND HIS TEAM: Jubilees Palimpsest Project uses new technology to explore old manuscripts. Todd Hanneken, Ph.D., is like Indiana Jones, only his quests happen within centuries-old artifacts instead of in pursuit of them. St. Mary’s University was awarded a $325,000 grant this week from the National Endowment for the Humanities to fund the Associate Professor of Theology’s work revealing hidden words within biblical literature. It’s called the Jubilees Palimpsest Project. Hanneken is the first scholar to use Spectral RTI (Reflectance Transformation Imaging) to excavate text from ancient books and manuscripts. These artifacts, called palimpsests, haven’t been legible for centuries – because they were erased. The Book of Jubilees, originally written in the second century B.C., is Moses’ retelling of Genesis and Exodus as a legal narrative. It further describes creation and descendants of Adam and Eve. The Testament of Moses is a Jewish text from around the time of Jesus that describes a messianic figure other than Jesus. The Arian Commentary on the Gospel of Luke, written in the fourth century A.D., reflects the ideas of the followers of Arius, who were deemed heretics because they considered God the Son to be subordinate to God the Father. Each was erased and an anthology of the writings of Augustine was written on the parchment. The palimpsest itself has been at the Biblioteca Ambrosiana in Milan since the 17th century. Background here. A book by Dr. Hanneken was also noted here. Cross-file under Old Testament Pseudepigrapha Watch and Technology Watch. READING ACTS: A Star Will Shine – Sibylline Oracles Book 5.1-154. I am not entirely persuaded that Book 5 of the Sibylline Oracles is a Jewish composition. It may be, but it could also be by a Jewish Christian or a gentile "God-fearer." See my book, The Provenance of the Pseudepigrapha (Brill, 2005), pp. 186-189, for discussion. Past posts in the series on the Sibylline literature are noted here and links. Cross-file under Old Testament Pseudepigrapha Watch. ANCIENT JEW REVIEW: “The Most Daring Blasphemy”: Getting Students to Think Critically About Extra-Canonical Texts. (Sarah Rollens). Great project assignment. Cross-file under New Testament Apocrypha Watch. CONFERENCE: The Unbelievable Past Conference, 14–16 September, 2016. Fragments of an Unbelievable Past? Constructions of Provenance, Narratives of Forgery. At the University of Agder, Norway. Another one I wish I had time to attend. Ancient Aramaic spells excavated in Serbia? ARAMAIC WATCH? Mystery magic spells unearthed with ancient skeletons in Serbia (Ingrid Melander and Robin Pomeroy, Reuters). "The alphabet is Greek, that much we know. The language is Aramaic – it's a Middle Eastern mystery to us," Miomir Korac, chief archaeologist at the site in eastern Serbia, told Reuters. In antiquity, magic spells were sometimes inscribed on metal amulets, including lead, silver, and gold. And switching writing systems was also known. The Greco-Egyptian Greek Magical Papyri sometimes wrote Hebrew and Aramaic words in Greek letters (see final paragraph here), and the Hebrew magical handbook Sefer HaRazim wrote a Greek incantation in Hebrew letters. A recently discovered amulet from Cyprus has an Egyptian text written in Greek letters. And an amulet discovered recently in Jordan was written in Greek letters but the text may be in Arabic. Thus the conclusions suggested in this article are plausible, but we'll have to see how the specifics turn out when (hopefully) these new amulets are fully deciphered. HISTORIC ARCHITECTURE: MKs turn to UNESCO to save prophet's tomb. The Prophet Nahum's tomb is located on the border between Kurdish controlled territory and territory controlled by the central Baghdad government, and is under threat from ISIS; Israeli MKs have turned to UNSCO to try and get help saving this and other Jewish heritage sites in Arab and Muslim countries (Roi Kais, YNet News). After receiving pictures detailing the poor condition of the site, MK [Ksenia] Svetlova, along with several other MKs, went to the United Nations Educational, Scientific and Cultural Organization (UNESCO) with a letter asking them to help preserve this and other Jewish heritage sites. "We heard worrying news about the fate of the site recently, which, as we know, is in a region of geopolitical and economic turmoil," the letter read. It continued, asking UNESCO "to work in every way possible to protect the site and mitigate damage to it, and to bring it up the next time you discuss protecting ancient sites in your council." "We need to save what we can"
The MKS also turned to the Kurdish Regional Government in northern Iraq, and asked them to get involved in the issue. If the UNESCO request doesn’t bear fruit, then the MKs will turn to other Jewish organizations who deal with the issue of Middle Easter Jewry. Good. I hope it does some good. Background on the (traditional) Tomb of Nahum, the dangers it has faced, and its current crumbling state, are here and links. READING ACTS: In the Tenth Generation – Sibylline Oracles, Book 4. Past posts in the series on the Sibylline literature are noted here and links. Cross-file under Old Testament Pseudepigrapha Watch. THIS WEEK'S DAF YOMI COLUMN BY ADAM KIRSCH IN TABLET: An Ox, a Donkey, a Sheep, and a Garment Walk Into a Bar… In this week’s ‘Daf Yomi,’ dissecting the hermeneutics that governs the Talmud’s approach to law. If a thief steals property, the Bible explains, he is required to pay restitution plus extra damages. Exodus Chapter 22 distinguishes between two cases of theft of livestock. If a thief is found in possession of a stolen animal, he must pay twice its value to the owner; but if he is found to have slaughtered or sold the animal, he must pay a higher multiple, “five oxen for an ox and four sheep for a sheep.” Here again, the Bible speaks of property loss primarily in terms of animals, which makes sense for two reasons: They are relatively easy to steal, because they can move on their own, and they were a common form of property among the pastoral tribesmen of ancient Israel. However, the use of livestock as an example means that the rabbis are compelled to extrapolate the rules for other types of theft. As we have seen several times before, the brief, concrete statements of the Bible must be analyzed in order to figure out their governing principles, which can then be more widely applied. THE BIBLICAL REVIEW BLOG: Pseudepigrapha Saturday: Apocalypse of Adam. The Apocalypse of Adam is preserved in a manuscript discovered near Nag Hammadi, Egypt, in 1946. It is one of many manuscripts of gnostic secret revelations. In this particular text, Adam communicates knowledge to his son Seth, the progenitor of the race of gnostics. In the story, he receives messages from three figures. Three stories are revealed, all of which find biblical precedents: the great Flood, re-population of the world, and “a cosmic conflagration that is perhaps based on the destruction of Sodom and Gomorrah” (Old Testament Pseudepigrapha, 2:707). Each event is explained as the creator God’s attempt to destroy the race of Seth. At the end of the text, the author equate baptisms with knowledge. William Brown is putting his Pseudepigrapha Saturday series on hiatus, since he is beginning a degree at the University of Chicago soon. I have noted the series here and here and will note other past posts in it whenever it seems interesting to do so. Meanwhile, I wish William the best in his studies and I hope to hear more from him as time permits. The Digital Library of the Middle East (Peter Herdrich). THE ASOR BLOG: Introducing the Digital Library of the Middle East (Peter Herdrich). The desire to more thoroughly secure collections of all kinds is one of the primary motivations behind a new project developed by the Council on Library and Information Resources (CLIR) and the Antiquities Coalition, the Digital Library of the Middle East (DLME). The DLME proposes a large-scale digital library that would encompass online collections of material relating to the cultures of the Middle East. In Jewish War under Trajan and Hadrian, William Horbury offers a fresh historical presentation of the two major Jewish uprisings against Rome that occurred in the first half of the second century CE: first, that which took place in Cyrenaica, Egypt, Cyprus and Mesopotamia in 115–117, towards the end of Trajan’s principate; and second, that which took place in Judaea in 132–135, during the reign of Hadrian. With this work, Horbury, a fellow of Corpus Christi College, Cambridge, and the British Academy, adds to his already significant contributions to the historical study of Judaism. In this study of these enigmatic, yet major incidents of the late Second Temple period, Horbury (i) thoroughly examines the ancient sources, literary and otherwise; (ii) presents as comprehensive a historical narrative of these events as the sources allow; (iii) analyses previous scholarship and the various interpretative lenses through which these revolts have been viewed; and (iv) offers his own take on their significance within the history of Judaism, focusing in particular on questions such as: How did these incidents affect Roman perspectives on and/or treatment of Jews across the empire? To what extent do they mark the end of an “era” within Jewish history? And how can they be understood in the context of the relationship between Judaism and the early church? Cross-file under New Book, since I haven't mentioned it before. Offers a vision of Late Antiquity which allows for a new integration of different fields such as Roman, Byzantine, and Islamic studies, and a new conversation between ancient and medieval history. When did Late Antiquity actually end? Peter Brown, who has done so much to define the field, once replied: ‘always later than you think’. This book takes stock of this insight and, in continual conversation with Peter Brown’s work, applies it to ever wider social and geopolitical horizons. The essays of this volume demonstrate that Late Antiquity is not just a period in which the late Roman world grew into the three successor cultures of the Roman Empire — the Latin West, Byzantium, and the Islamic world — but also a set of hermeneutical tools for exploring historical transformation. A late antique view considers both the profound plurality of past societies and the surprising instances when a culture coheres out of those differences. The studies here follow those motions of fracture and alignment, and they show how working along the lines of a single but deeply textured vision of Late Antiquity makes it possible to integrate different fields such as Roman, Byzantine, and Islamic studies, and to start a new conversation between ancient and medieval history. BOOK REVIEW: The JPS Bible Commentary: Song of Songs. Michael Fishbane (Pinchas Roth, Jewish Book Council). A brief review of a new book that I have not previously noted. HT the IOTS page on Facebook. In this study, Robert B. Foster explores the intersection between the interpretation of Scripture and the construction of communal identities. He argues that in Rom 9, Paul applies prophetic texts from Malachi, Hosea, and Isaiah to the story of Abraham’s children in Genesis. These interpretive maneuvers enable Paul to extrapolate from the patriarchal narratives a specific construal of election: it is the ironic privilege of being simultaneously God’s chosen and rejected people. This understanding of election he in turn applies to Gentile Christ-followers, the remnant, and all Israel in order to build for them an all-encompassing yet differentiated Abrahamic identity for the messianic age. CINEMA: Third coming of 'Ben-Hur' brings a powerful message (Cal Thomas, Alaska Dispatch News). Warning: this review contains SPOILERS. The quote below deals only with the general theme of the movie. I asked Roma Downey why she and Mark took on such a project. She replied in an email that while the central theme is about reconciliation and forgiveness, "It's not specifically a faith movie … it's an action adventure drama, but it holds in its heart a story of hope. This is the balm our hurting world needs. This is why a Ben-Hur release for 2016 makes sense. We need this message in our country and in our world right now." The husband-wife team Mark Burnett and Roma Downey also co-produced the Masada miniseries The Dovekeepers last year. See here and here and links. Background on the new Ben-Hur movie, which opens on 19 August, is here and links. READING ACTS: Prophecies of Disaster – Sibylline Book 3.489-544. Past posts in the series on the Sibylline literature are noted here and links. Cross-file under Old Testament Pseudepigrapha Watch. TECHNOLOGY WATCH: Stratasys Brings One of the "Seven Wonders of the Ancient World" to Life with Unprecedented Realism of 3D Printing (Business Wire). For massive recreations like the Statue of Zeus at Olympia, the Fortus 900mc Production 3D Printer ensures artists can build these large parts with an enhanced degree of speed and scale – up to 3x faster than traditional 3D processes. Offering maximum flexibility, creators can easily fine-tune performance and speed – achieving more realistic parts, generating complex designs and producing the smooth finish artwork requires. With the durability of production-grade thermoplastics, museum creators were guaranteed the resulting statue was highly stable to remain intact during the most challenging environments. I'm looking forward to the reconstructions of the Hanging Gardens of Babylon and the Library of Alexandria. For more on 3-d printing and its current and potential applications to archaeology the study of antiquity, see the immediately preceding post and links. THE ASOR BLOG: Collecting and the Power of Touch (Erin Thompson). It is crucial to persuade current and potential collectors to stop buying antiquities in ways that encourage looting. But how? Decades of finger-wagging archeologists scolding collectors have had little effect. Clearly, “just say no” is not enough – especially for collectors like Borowski who think that their collections are serving important purposes. So how can we provide the experiences collectors prize in a way that does not damage the past? One simple avenue to explore is rethinking our attitude towards touch. Rules against touching in museums are reasonable, given the damage that even careful touching by seemingly clean hands can cause. But some types of museums have recognized the power of touch to enhance visitor experiences and spark long-lasting interest. At a natural history museum, we can feel a lizard under the guidance of a docent and then run our fingertips along a reproduction of a dinosaur bone displayed below a fossilized skeleton. Why not similar experiences in an art museum? 3D printing and other digital reproduction techniques can produce low-cost replicas of antiquities that can be handled – even purchased – by the public. Then the awe and wonder of connection with the past could become an opportunity to educate the visitor about archeological context and what it reveals – and convince potential collectors that their love is not the only context that an antiquity needs. The reconstruction of Palmyra's Arch of Triumph was noted here and links. Cross-file under Technology Watch. The ASOR Blog requires registration to read the full text of its articles. MESSIANISM: Six Failed Messiahs From Jewish History (Ari Feldman, The Forward). Ever since Jesus came along in the first century of the common era, claiming to be the son of God and the messiah, there have been a lot of copycats. Messiah claimants have arisen in Judaism, Christianity and Islam, and have come from every corner of the world touched by the Abrahamic faiths. Sabbatai Zevi was arguably the most impactful instance of a failed messiah in the Jewish world since the 2nd century. But we’ve compiled a list of six other failed messiahs from Jewish history, from both the distant past — and the 90s. As the writer notes, some of these "failed" messiahs still have followers who would dispute the "failed" label. Even Shabbetai Zvi, on whom more here (immediately preceding post) and links, is one of them. There are many past PaleoJudaica posts on Bar Kokhba and the Bar Kokhba Revolt. A new book on the revolt was noted here. Other relevant past posts are collected here. And see the blog search engine for still more. More on the Lubavitcher Rebbe, Menachem Mendel Schneerson, is here and links. The other messiahs profiled in the article are Moses of Crete ("The Drowning Messiah"); "Sherini, Sheria, Serenus, Zonoria, Saüra, Severus," Yudghan (Al-Ra’i, "The Shepherd"), and David Alroi. MODERN MESSIANISM: Turkey Cracks Down and an Ancient Messianic Sect Burrows Deep (Nick Ashdown, The Forward). On a more serious note, the recent government crackdown in Turkey doesn't seem to have yet resulted in specific persecution of the Dönme, but the situation is precarious and bears close watching. This is a longish and interesting article, worth a read. A past PaleoJudaica post on the Dönme (Dönmeh) is here. Past posts on Shabbetai Zvi and Sabbateanism are here and links. The Septuagint is the translation of the Hebrew Bible into Greek and originated in Egypt in the time of the Ptolemaic kings. It became the basis for the Jewish religion in the Mediterranean world in antiquity and also for the dissemination of Christianity. It was used by New Testament authors for their scripture quotations and it became the canonical form of the Old Testament in the Orthodox Church. It is also a mirror of its historical setting and a witness of religio-historical influences as well as of theological concepts and perceptions. 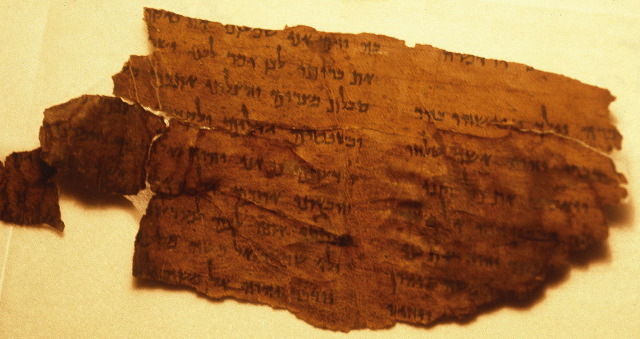 It is the most important witness for the textual history of the Old Testament, apart from the Hebrew Masoretic text, because unlike the Qumran biblical texts it is complete. For the first time the first three volumes that contain papers that were presented at the international conference in Wuppertal, Germany, organized by the Septuaginta-Deutsch project, are available as a set at a special price. The volumes contain studies into the origins, the language and the history, including the Wirkungsgeschichte. These volumes are not new, but the offer is, and in any case I haven't mentioned them before. Cross-file under For You, Special Deal. READING ACTS: Oracles against the Nations – Sibylline Oracles Book 3.295-488. Past posts in the series on the Sibylline literature are noted here and links. Cross-file under Old Testament Pseudepigrapha Watch. ETHIOPIC WATCH: The Weeknd donates $50,000 to the University of Toronto to kick-start an Ethiopic Studies program. Scarborough native and international star gives back to the Ethiopian community with $50,000 to back Ethiopic Studies at U of T (Evelyn Kwong and Ebyan Abdigir, Toronto Star). Grammy award-winning R&B star and Toronto native Abel Tesfaye — alias The Weeknd — has donated $50,000 to the University of Toronto in support of establishing an Ethiopic Studies program. So far, over $170,000 has been raised for a course on the Ge’ez, an ancient Ethiopian script and language also known as Ethiopic. “This initiative is a rare opportunity and of historical significance in the discovery of Ethiopia’s ancient civilizations, for the preservation of our rich culture, history and traditions,” said Tessema Mulugeta, president of the Bikila Award. Good for him. The contribution also brings in a matching $50K from Professor Michael Gervers. Background on the new Ethiopic Studies program at the University of Toronto is here.